High-quality corrosion resistance. Proven to outperform and outlast. 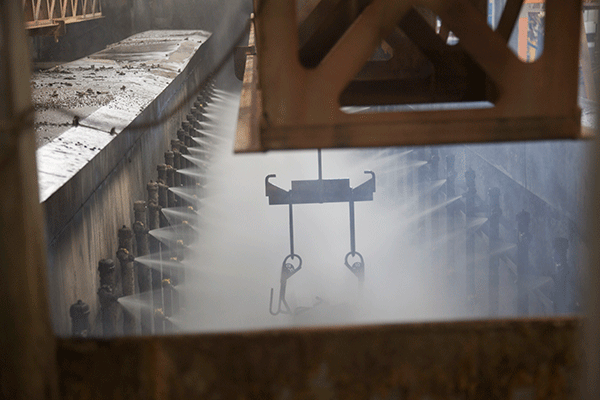 Corrosion has always been a concern for the entire fire industry within certain regions. 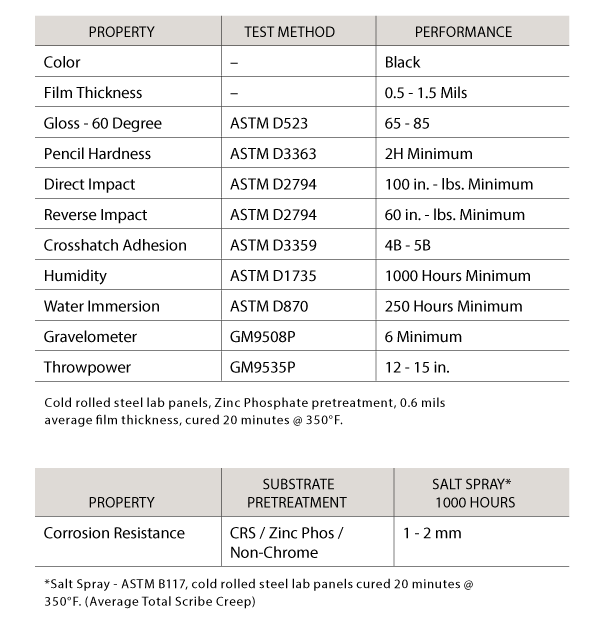 The increased popularity of liquid de-icing agents along with traditional road salts has increased the risk of chassis related corrosion. To combat corrosion, Pierce Manufacturing is the first and only fire apparatus manufacturer to incorporate an electrophoretic coating (E-coat) process into our custom apparatus. Get severe-duty Corrosion Protection, Top Coat, Welding, Fabrication and Assembly from one of the most expansive and exacting facilities in America. Oshkosh’s electrocoating (E-Coat) immersion process provides coverage of complex parts and a uniform thickness without runs or drips. E-Coat delivers a superior corrosion and chemical resistance, while maintaining a high-quality, resilient surface for paint of any color or finish. The 150,000 square foot facility is home to one of the country’s largest Programmable Hoist Systems (PHS), as well as a state-of-the-art indexing system, which allows processing of parts of virtually all shapes and sizes. In addition to advanced systems and rigorous quality assurance processes, Oshkosh corrosion protection leverages expertise from Oshkosh’s proven experience serving the Department of Defense. Economic and efficient corrosion protection provides durable resistance from the most severe conditions. PHS tank sizes: 36 ft. length, 3.5 ft. width and 8 ft. depth; maximum weight capacity of 5,000 lbs. 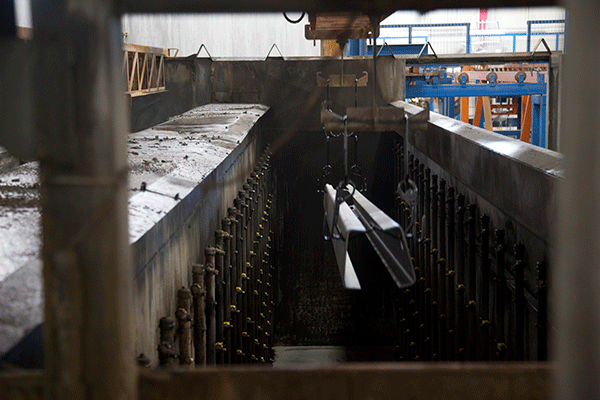 Indexing system capabilities: 8 ft. length, 10 ft. width and 8 ft. depth; maximum part weight capacity of 2,500 lbs. An eleven step process preparing the material for E-coating. 400 volts DC are applied while the part is submerged in the coating solution. Ultra-filters with a prefilter are utilized during the rinse process to constantly guard against contaminates, remove solids from the post rinses and achieve paint transfer efficiency of 95% or higher. At a minimum of 350°F, the part is baked to ensure the crosslink of polymers and allow the coating to flow out and become smooth and continuous.